Flowers are always an appropriate and welcome gift and a marvelous way to show how much you care. 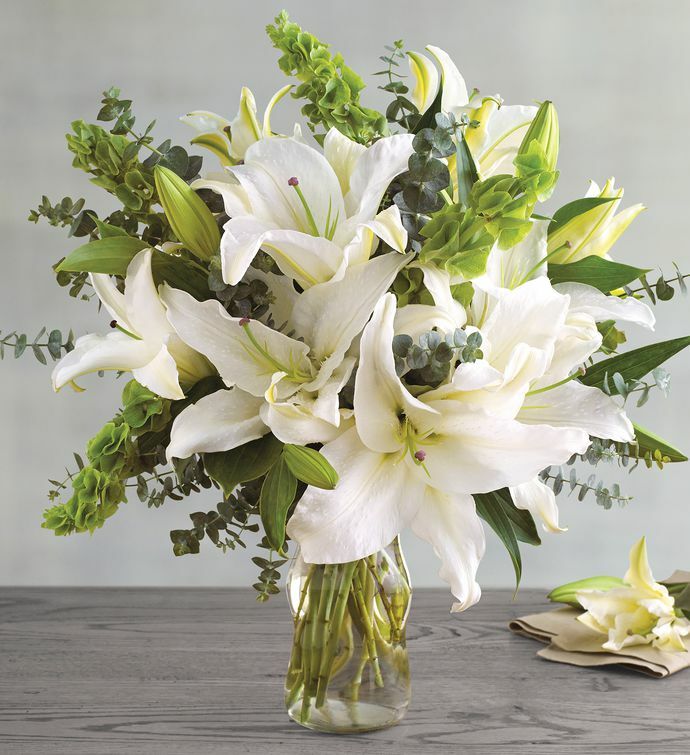 A half dozen white Oriental lily stems are displayed among bells of Ireland and aromatic baby eucalyptus. Each lily stem produces three to five magnificent blossoms. This bouquet arrives in a graceful, reusable glass vase.